It is so gloomy out today. I can’t seem to get myself going. A cup of coffee deep and I’m still feeling lazy and blah. I typically live for gloomy, rainy or stormy days. Living in London was the greatest thing for me because it was always a little foggy and It made me feel mysterious. I’m not the type of person who lives for those sunny days. Don’t get me wrong, I love the sun and without sunshine I get super sad; however, waking up to gloom is my favorite. Call me crazy but dark, stormy, foggy…it’s what I live for. My brother is the exact same way. Maybe it stems back to when we were kids and the constant adventures we took in the woods and field behind our house. Rain or shine (rain was more fun) we were sent out to play. We built forts, played in the amazing tree house that our Dad built, made mountain bike trails, climbed trees and fought constantly. My brother, Brad, always made up scary stories about the Indians who used to live in our field and how their ghosts were now haunting the grounds they lived on (I’m still afraid to go outside at night when I’m home thanks to him). Our Dad is also a weather fanatic and would take us up into our field to watch storms roll in (much to my mother’s chagrin). There was one particular time we went up to watch a storm roll in and it came much faster than my Dad had anticipated. I remember him screaming RUNNNN and we had to sprint back to the house to take shelter. I remember thinking that my feet were floating over the ground because I was running so hard and so fast. We had just made it inside when the storm hit and I remember my Dad threw himself over us as we crashed to the ground. I turned to look out the window and all the trees were bent towards the house and then were completely engulfed into a grey cloud. The storm was so loud and I remember hearing trees snapping and then it was silent. the storm was gone just as fast as it had arrived but it left a trail of damage behind. We lost our beloved tree fort that day and somewhere around 30 trees from our property. I shed many a tear in the weeks after that, knowing our tree house was gone (the kids who couldn’t climb the rope ladder were celebrating, however). I think that out of my terror that day an obsession began. I have a fear/love for storms. If I’m home alone, I die. If I’m with other people, I’m in heaven. So thanks, Dad! For my weird obsession with storms and gloom! Enough about storms and gloom! Lets look at some beautiful things that have me swooning this week! 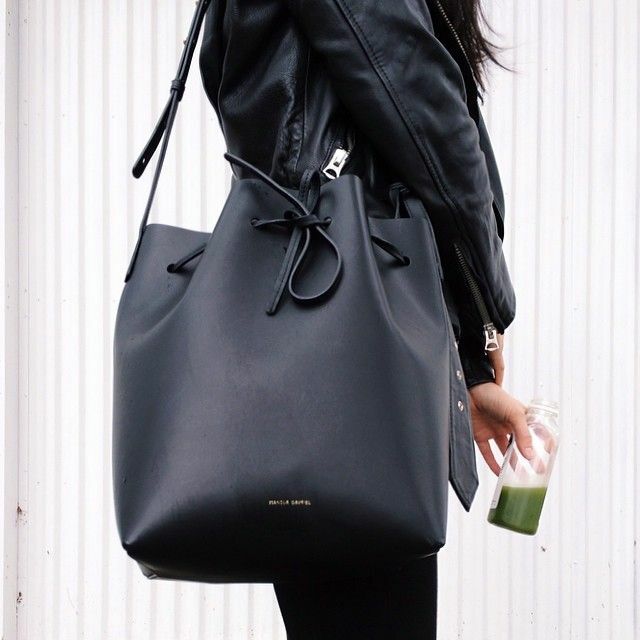 BUCKET BAGS ARE BACK! My Mom rocked the bucket bag back in the day and I kind of hope she still has a couple so I can “borrow” them…The only issue I have with the bucket bag is that it turns into a giant black hole. My purse is always a mess. Like, full blown disaster area. Mikey refuses to enter my purse. Although I super want this bucket bag…I know within a week it would swallow up at least 2 chapsticks and pair of sunglasses. Worth it. What’s better than coffee? Coffee that is drowning in ice cream, that’s what. 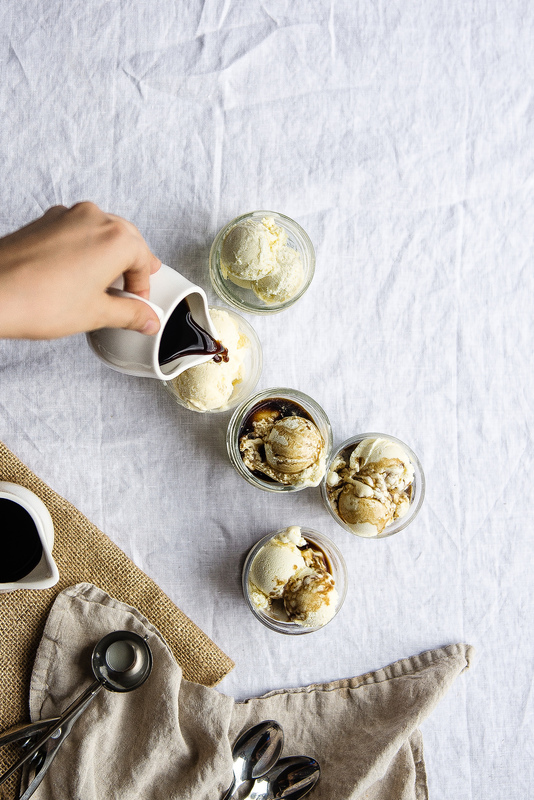 This cold-brew affogato has got me trippin’. 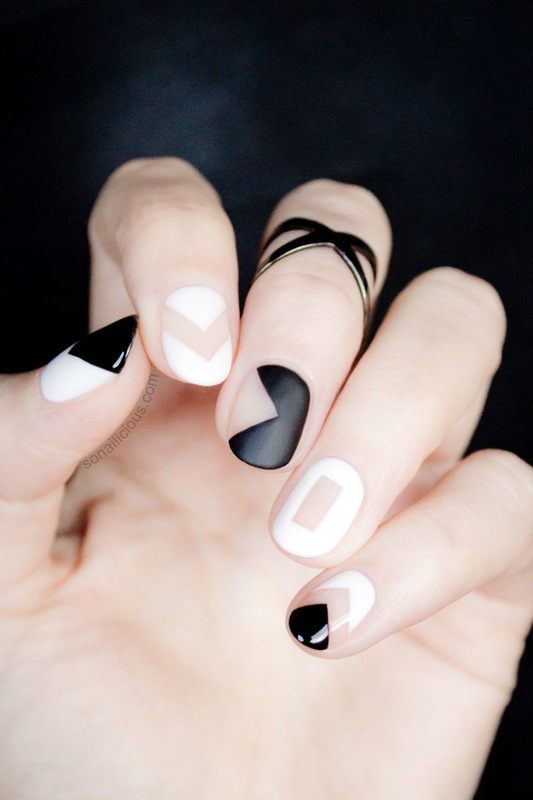 Whoever came up with the negative-space nail idea was a genius. It’s like a tattoo for your fingernail. I am definitely going to attempt (won’t look great) this look this weekend! It’s so edgy and fun! Try out the tutorial in the link and let me know how yours turns out! You Burrata be kidding me! (Ha). There is not a cheese (maybe Gouda) that I am loving more than Burrata right now. We had a Burrata pizza a couple weeks ago and I can’t stop thinking about it. 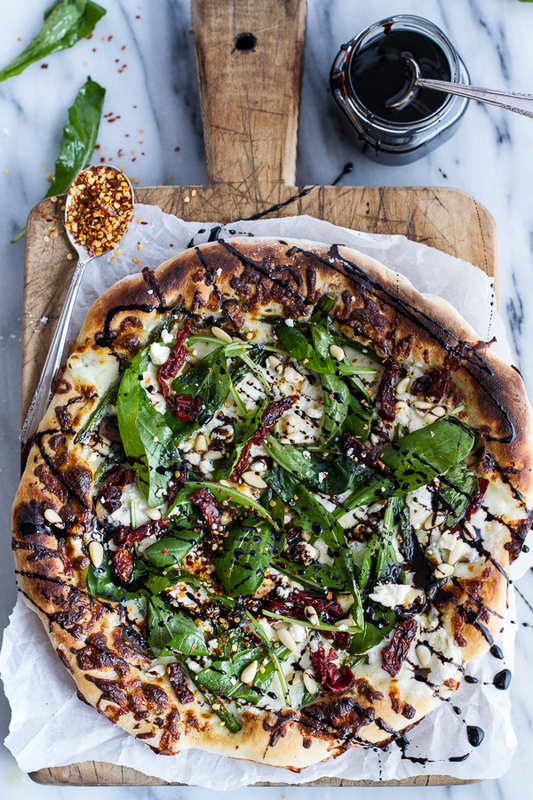 Plus, this spring pizza has asparagus, mushrooms and balsamic. I want to face-plant into this pizza right now. Last but not least. We had some clients from Texas in town this week and they introduced us to a vodka that their friend makes. 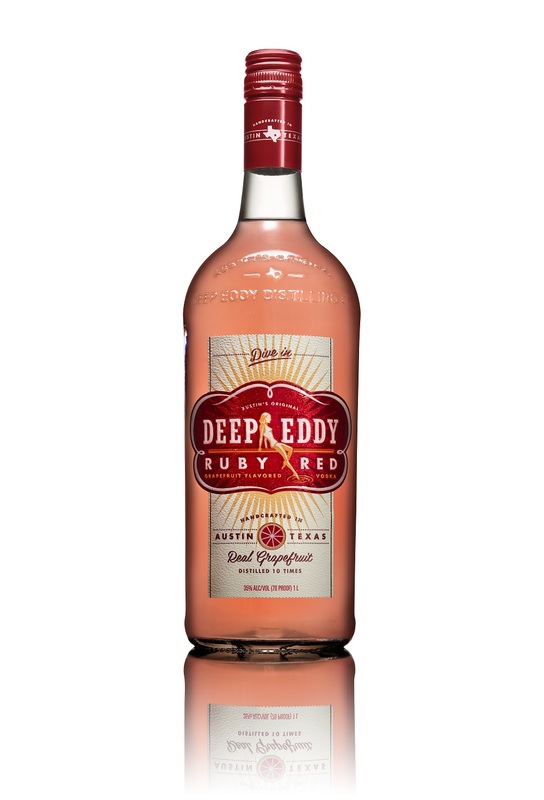 It’s a grapefruit infused vodka and it may change the way you make cocktails. I LOVE that bag, but agree-I see a black hole waiting to happen. My purse is ALWAYS a mess. I feel the same way. I need a lot of sun in my life. Yet, I live for the days where it rains all day. I believe we all need those days to rest and restore our minds. I seem to need more of them as the years go by. I will admit: It is hard to get going no matter what the weather brings….